China’s central bank has said it no longer sees any benefit in increasing its $3.66 trillion foreign currency reserves – already the world’s largest. China will cap its purchases of US dollars in an effort to limit the depreciation of the yuan. “It’s no longer in China’s favor to accumulate foreign-exchange reserves,” Bloomberg quoted Yi Gang, a deputy governor at the central bank as saying Tuesday. Decreasing the influence of the dollar and other currencies is a step closer to reaching China’s 2015 goal to “float” its currency and according to the People’s Bank of China will help the everyday Chinese citizen. Between July and September 2013 China’s increased its foreign – currency holdings by $166 billion, boosting it to the world’s highest of $3.66 trillion. This is also more that the Gross domestic product of Germany – the Europe’s biggest economy, Bloomberg reports. This will “basically” end the interference of foreign currency in the Chinese market, and widen the yuan’s daily trading range. The move also provides a buffer to China from future US Federal Reserve stimulus tapering, which, even just as it looms, has had severe ripple effects on emerging market currencies in Brazil and India. Tuesday minutes from the Fed’s policy meeting said it could start tapering its monthly $85 billion bonds purchases in the “coming months”, if the job market improves further. Fed members also weighed the possibility of slowing the purchases even without clear evidence of a strengthening job market. The news sent Asian stocks lower on Thursday, Japan an exception. Hong Kong’s Hang Seng shed 0.7 percent to 23,539.83 and China’s Shanghai Composite decreased 1.1 percent to 2,183.50. 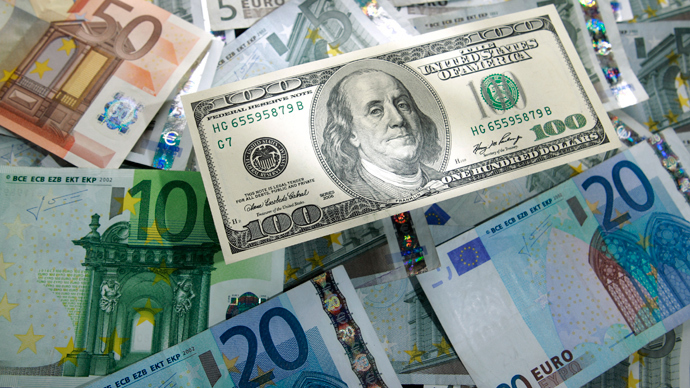 Once the yuan is set to free float, international transactions will be carried out in the Chinese currency, and it will become common in global trade, in league with the euro and dollar. The Chinese yuan currently is the 13th most-used currency in the world for international payments. The yuan has been dubbed a “hermit currency”, isolating itself from foreign investment and setting its own rules, but is now slowly entering world currency markets.